Each row in the series indicates what the books is about, from the general at the top and growing more specific as you go down. The top row is always a letter and specifies one of the twenty-one library of congress major divisions. In this instance, N refers to Fine arts, and ND refers to painting. The second row is always a number and is used to further define the subject. In this instance 1839 refers to water color painting (which falls in a range between 1700-2495). The last rows are called the cutter numbers and they often indicate the author or subject (this one has one for each). The book is a monograph about Robert Vickery, which explains the V. The author of this book is Philip Eliasoph, which explains the E. 2008 is the year of publication. There is little need to remember any of this. What you should you remember is that you find books on the shelf in the same way that they are cataloged: from general to specific. 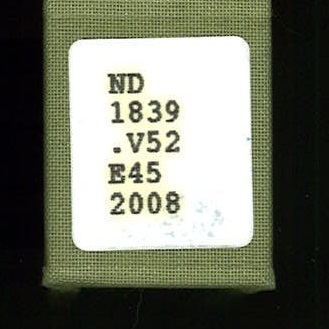 So, first you would find the ND section, then 1839 (in numerical order) then V52 within the 1839’s, and so on down the spine. 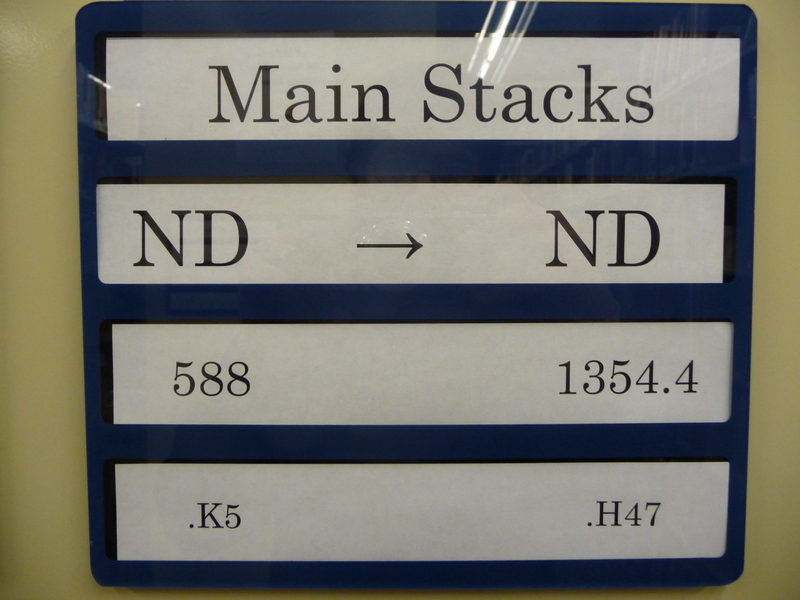 At the end of each row in the library book stacks is an end panel that shows you the range of books for each row. Do you know which one of these rows our Robert Vickery book is in? 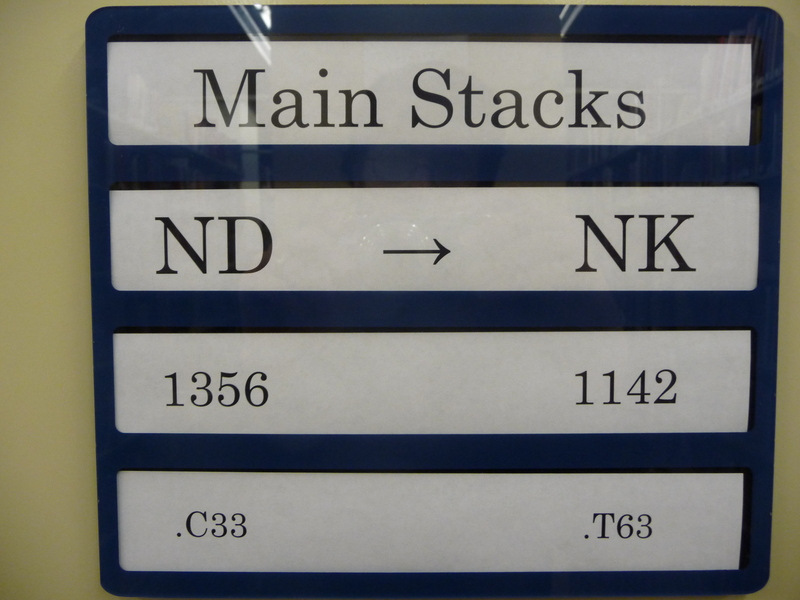 Posted on September 28, 2011, in Library Instruction and tagged call numbers, finding books. Bookmark the permalink. Leave a comment.